Have you ever attended a musical performance that felt like it was put on just for you and a few of your closest friends? 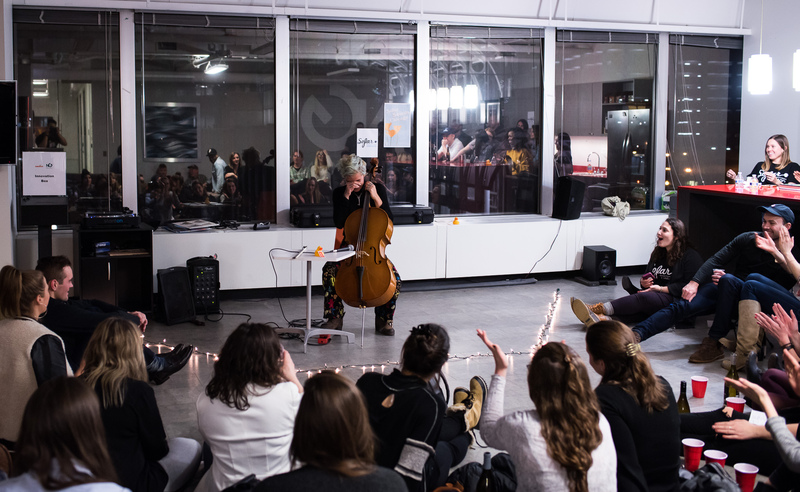 On Thursday, April 5th, Swoon was lucky enough to host its first ever Sofar event in the café. 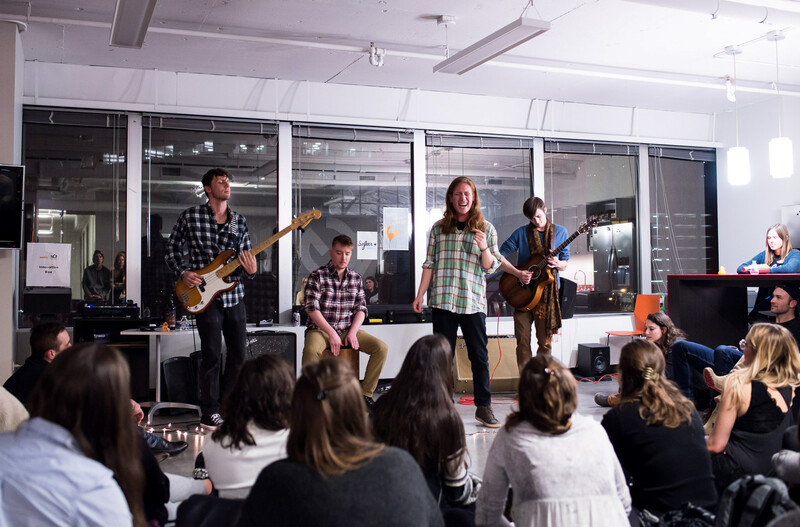 Sofar is known for its “Intimate gigs all around the world,” as each of their events is very small and people are encouraged to gather around the performers, usually sitting on the floor. 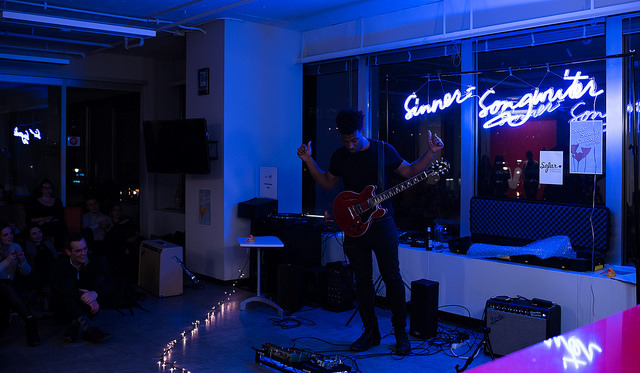 Each Sofar show features three different artist groups and no headliner. 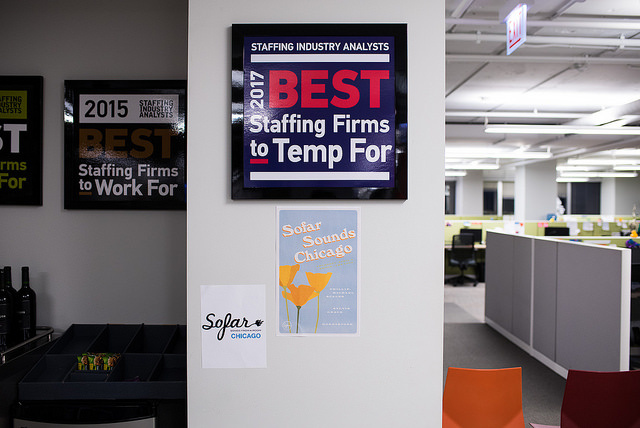 Antoine met with the Sofar team to discuss the logistics of hosting the event, and the next thing we knew, we were live! The event location was kept secret from attendees until the night of the event, adding to anticipation and excitement. Our show sold out, and we were thrilled to welcome many non-Swooners into our fantastic space. The evening began with an intro from Sofar and Antoine about the night and our space. Everyone was seated around the “stage” and ready for a great acoustic set. Sylvie Grace started the evening with an intimate set played on her cello. Honeystone wrapped up the evening. They are a rock’n’roll all-male group from Chicago. We want to thank everyone who attended and performed at our first Sofar event. We had a great evening, met some awesome people and can’t wait to host another soon! Photography courtesy of Jonathan Feng.